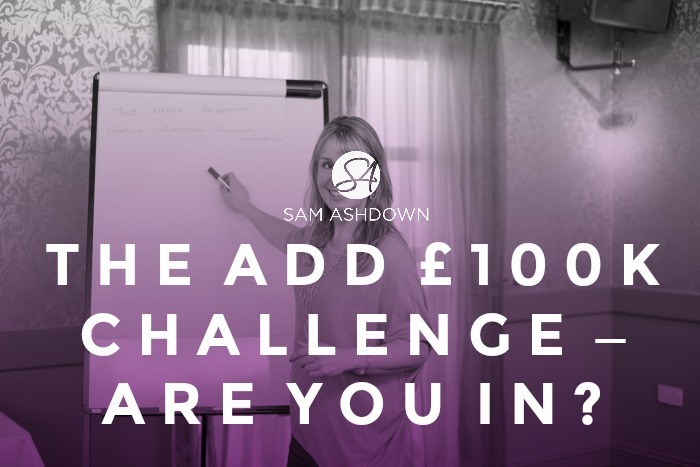 The Add £100k Challenge – are you in? Even a small subscriber list, if you nurture and manage it effectively, can produce an income most agents can only dream of. And as you’ll see in just a second, if you follow my model, you’ll also be doing less work. Less work…. more money? Nice….. Your implementation plan to get things done! Still reading? Great! Let’s dive in. I speak to estate and letting agents, every day, from all over the country who tell me that they have a back-bedroom 0.5% guy touting for trade, or that Purple Bricks just rode into town, or even that all their previously ‘professional’, long-standing competitors just broke out into a playground fees war. “Whatever anyone else quotes you, we’ll beat it by 20%”. With Purple Bricks, Tepilo and the rest all telling homeowners how easy it is to sell, why do they need a traditional estate agent? Why wouldn’t they just go the DIY route? How can the public tell the difference between the service they will receive with an online agent, and the one they will get from you? And if they can’t see a difference, why would they pay so much more? The headlines are telling us there’s been a spike in stock recently, but on my webinar last month, I asked how stock levels compared with the same month last year, and heard answers from 10% lower, to a staggering 60% lower. What can you do if your shelves are empty? The problem, simply put, is that you’re not getting through enough doors. Too few market appraisals in the diary. Let’s be clear here: canvassing is NOT a system; prospecting is NOT a system; advertising in the paper every week is NOT a system. But a system can incorporate all of these activities. Spend some time and effort NOW to create a system to bring you in sales and lettings market appraisals on a consistent, predictable basis, and you’ll be able to reap the benefits for months and years to come. A marketing system makes everything else work better. Very few agents have ever gone out of business with a diary full of valuation appointments….. I recently had a call from Kevin, the owner of a three office agency in Staffordshire. Kevin’s the same age as me (40-something…) and has been an agent since his early twenties. He used to love it. So what’s changed? I asked him. “I’m sick of spending all of my time, effort and money on marketing that isn’t making any difference,” he moaned. We made a list of everything he was doing, marketing-wise. It was a long list and included sponsoring the local football club, to sending out 10,000 canvassing cards a quarter. I asked Kevin, how would he feel about his business if his listers’ diaries were chock-full of valuation appointments? And that’s when Kevin had his big AHA moment. Because it wasn’t agency he was fed up with, it was marketing. And that’s because he was trying to chop down a tree with a blunt axe. He needed to sharpen his axe, or in this case, create and implement a marketing system that would get the phone ringing, and get his listers through every door, for every valuation. An agent client who has implemented ONE ELEMENT of my system has generated a new, hot, local enquiry EVERY DAY since she started, and 7 instructions in the first month. The right system will bring you consistent enquiries from qualified homeowners and landlords, every day, without you having to chase for scrappy leads. Can you say YES to these 5 questions? Do you have a successful system for generating market appraisals CONSISTENTLY? Do you have a documented marketing PLAN to bring in new clients every day without you? Do you have an inbox full of NEW enquiries every week? Do you leave the office before 6pm every evening? Do you get a good night’s sleep EVERY night?? 5 yeses? Well done! You don’t need my help. Go and put the kettle on and pat yourself on the back. When I first started my consultancy business, back in 2004, I struggled terribly to generate new leads. I’d spend whole days and sometimes weeks on marketing to get a few rubbish enquiries. If I made sales, I’d deliver to those clients, then I’d come back to an empty inbox and have to start all over again. It made me feel overwhelmed, overworked, and exhausted. I spent thousands of pounds on coaching, masterminds and travelling to conferences all over the world, to discover the exact steps to the perfect marketing system, that would work like a well-oiled machine, without me as a bottleneck. Now I never have to exhaust myself on marketing that doesn’t work. Plus I get all the quality clients I could ever want. Some of you know that I have a beautiful grandson, and I want to spend time with him, so I work no more than 30 hours a week, and last year, I took 10 weeks off to spend time with family, and travel. I only work with the very best, motivated and dynamic independent agents. I want you to get results, so I’m only going to work with you if I think you will. I need you to look good, so you make me look good. Then you’ll rave about me and tell everyone except your competition how great I am. One independent agent in Wimbledon I spoke to recently, spends £800 a month on Google Adwords. This brings her in, on average, two enquiries a month, so £400 each. But these are not quality market appraisals. Anyone who has to type into Google, estate agents in Wimbledon, is probably not the best quality vendor for you. Of course, they could be out of area, but more likely, they are at best, looking for a third agent valuation to make up the numbers, and at worst, simply looking for a transaction at the lowest cost. How much is it costing you right now NOT to have a marketing system? Wow. An extra £100k for just 5 new market appraisals a month! Just imagine if you had a marketing system that could generate just over a new MA a week. You too could add an extra hundred thousand pounds to your bank account. If you’ve been following my content for a while, you’ll know all about my six step marketing system to get you through more doors. It’s simple, it’s proven, it works. Step 1 – create a subscriber briber. Something valuable that will motivate a prospective client to exchange their email address for it. Try an ebook, or a checklist, but make it relevant for the target market you want to attract. Step 2 – take them to a dedicated page. There’s no point in driving website traffic to your home page; there are simply too many distractions on it for them to notice your freebie, and click on it. Create a distraction-free zone, called a squeeze page’, and your conversion rate will skyrocket. Step 3 – connect an email service provider. This lets you collect email addresses and organise your mailing lists, and keeps you legal by offering subscribers a way to unsubscribe easily. Step 4 – add an autoresponder series. Write a series of emails that your readers will love to receive. Add it to your email service provider and you have an automated ‘touch campaign’ to keep you top of mind. Step 5 – drive traffic. Make a list of all the places you can drive traffic from, so that your squeeze page always has fresh leads to convert. Step 6 – implement! A system isn’t a system until it’s documented and resources allocated. Create a spreadsheet of the daily, weekly and monthly activities, then delegate and monitor progress. This system shouldn’t rely on you to implement it, otherwise you remain the bottleneck. >How do subscribers convert to instructions? Marketing has changed. Instead of trying to find new clients, you need to look for responders. In any given group of people, anything from 5 – 30% can be responders, depending on what you’re asking them to respond to, and how. Add this to the fact that you need to get someone on the phone before they can book a market appraisal (MAs booked by email are often really low quality), and you now have a new marketing objective – to generate a phone conversation. Therefore, the aim of your ‘funnel’, is to motivate a subscriber to have an email conversation with you that in turn, results in a phone conversation. Let’s say you get 500 subscribers on your list, using a variety of methods I’ll teach you (if you become a client….). 50% (250) of them may engage in an email conversation with you, and then 70% (175) of those may agree to have a chat with you on the phone. From those, let’s say 50% agree to a valuation, and half of those instruct you. If your retention rate is 19/20 sales, and your average fee is £3,000, every subscriber is worth £250 to you. Even more impressive, is that your list of 500 subscribers is worth a potential £125,000!! Can you answer YES to 5 these questions? Do you want to dramatically increase your income? Do you think your agency has huge potential for growth? Could you handle double or treble the number of market appraisals? Do you see the need to systemise your marketing? Do you want to take the next step with me? It’s usually one of three things: time, skills or money. Time – the time commitment for my Add £100k Programme is around 30 hours. Ongoing time needed is 2-5 hours a week. Can you afford not to invest this in adding £100k to your revenue this year? Skills – some of my clients come to me with zero tech skills. I am self-taught, so my methods to teach you are simple, effective and easy to understand. And once you too have the skills, you will be way ahead of your competitors, who won’t be able to catch up without me to help them. Money – how much would you pay to add £100,000 to your top line this year, without any additional marketing spend? In fact, for most of my clients, my programme saves them money and earns them revenue, before they even begin the programme. My client Peter I mentioned before, saved £3,000 on a new website, and earned 5 new market appraisals, before the programme began! How much did you invest in yourself last year? I invest in myself constantly. I travel to the best internet marketing and industry conferences, so I can pass to my clients the very latest and most innovative and successful strategies and tactics, so they don’t have to invest at such a high level. In fact, all they have to do is invest in themselves by becoming my client, and they get my investment for the price of theirs. It’s a no-brainer really. What’s the next step to creating a marketing system that adds £100k a year? In short, getting on a phone call with me. In 45 minutes, I’ll ask you about your business goals, and show you the exact steps you need to take to reach them. If your goal is an extra £100k this year, let’s work out exactly how you’re going to do that. I give away a handful of these calls each month, and when they’re gone, they’re gone. At the end of the call, I may invite you to become a client, but I may not. Not everyone is a good fit for my programme. Until we figure that out, let’s just jump on a call and get your marketing on track to hit your goals. Either way, I promise you’ll find the 45 minutes insightful and motivating. Just answer a few simple questions here and we’ll get your call booked in. Book your call with me and who knows where our conversation will take you?